We played the first seven holes raucously, goofily—ridiculing shags, racing carts, letting the late-summer sun make us giddy—but when we came upon the eighth tee at the historic Old Brockway Golf Course in Kings Beach, California, the sudden view of Lake Tahoe silenced us. Or silenced me, rather. My companions lived just down the road and saw the lake every day, glittering against its backdrop of snow-dusted Sierra Nevada and Carson ranges. I had to wonder whether living there made them immune to the sight, the way residents of Rome forget to notice the Colosseum. That outing at Old Brockway was just another day of golf for those guys, while it became one of the most vivid afternoons of my life. I’ve been back to Tahoe many times since that first trip in 2001, usually in winter. Wintertime Tahoe holds no shortage of its own stunning imagery and activities—for starters, there are more than fifteen ski areas, including my favorite, Squaw Valley, host of the 1960 Winter Olympics—but for natives and long-timers, summer is the secret star. 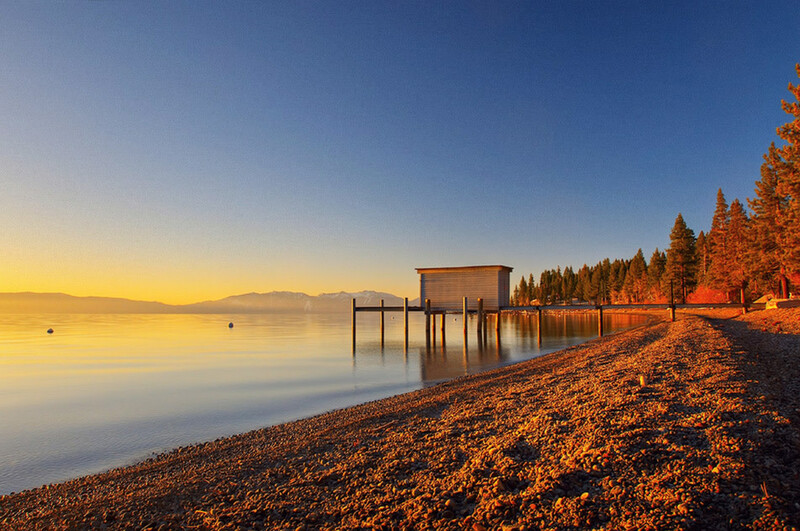 "I came for the winter, but I stayed for the summer‚" Tahoe transplants like to say. 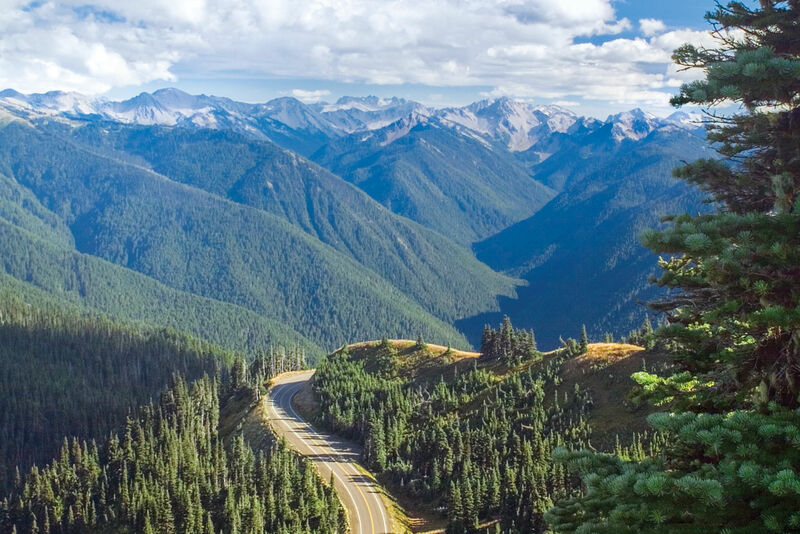 There’s waterskiing, mountain biking, hiking to alpine lakes, charter fishing, camping, sunset cruises, and, of course, golf. The average high temperature from June to September is in the seventies, there’s little precipitation, and the humidity level doesn’t even begin to approach the point at which you start feeling homicidal. The mere sight of the water is cooling. Formed some two million years ago, Lake Tahoe lies on the border of California and Nevada. It’s known for being "clear as gin‚" although according to the US Geological Survey, its clarity is decreasing because of human activity. As one of the world’s deepest lakes, Tahoe draws scuba divers with its underwater-wall drop-offs (Sierra Diving Center, sierradive.com, will guide divers to the sheer-bluff Rubicon Wall on June 27). With seventy-two miles of shoreline—the lake is twenty-two miles long and twelve miles wide—there’s a lot of territory to explore. Choosing a vacation base can feel overwhelming. 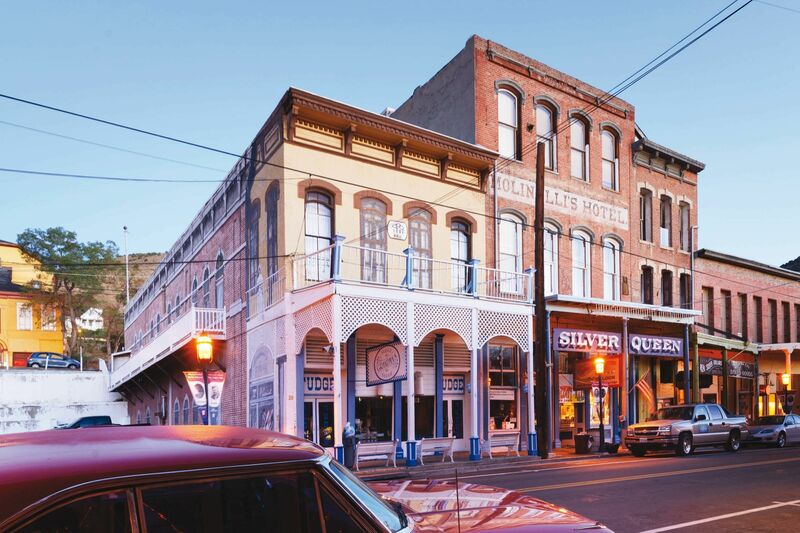 If I had to build a pair of perfect days there, I’d stick to Tahoe City, a laid-back little town on the northwest shore. The Tahoe Queen, at twenty-six-year-old paddleboat built on the Mississippi River, embarks on a scenic cruise. STAY at Sunnyside Steakhouse & Lodge (sunnysideresort.com). 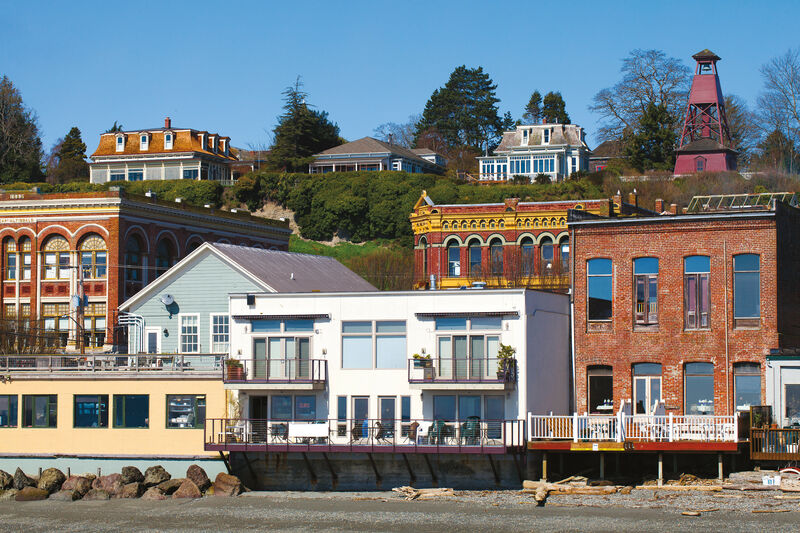 Originally built as a summer home on the West Shore in 1908, Sunnyside was renovated and became a resort in 1946. Today it has twenty-three guest rooms, nineteen with lake views, some with river-rock fireplaces and private balconies. Room 39, "Secret Harbor‚" has a terrific view of the lake, and rooms 38 ("Echo Lake") and 37 ("Edgewater") also have good views. All three have flat-screen TVs, DVD players, and goose-down bedding. Sunnyside’s broad decks are right on the water, just above the full-service marina and piers. There’s a formal dining room, but you’ll want a table outside. Check out the second-floor library and tea nook, as well as the historical photos lining the walls. Breakfast is complimentary, so fill up. WALK across the road to CyclePaths (cyclepaths.com) and rent bikes. From here, you’ll have access to some of the area’s best single-track mountain biking (get maps at the shop). It’s also fun to follow the paved bike trail along the lakeside road and dip down to the Truckee River. The Truckee flows out of Lake Tahoe and runs up through Squaw Valley and Truckee, and on to Reno. It’s a six-mile ride to Squaw Valley, with plenty of places to stop for a picnic and a swim. Before you hit the river trail, stop by the popular Dam Café and pick up made-to-order sandwiches or breakfast burritos. IN SQUAW VALLEY (squaw.com), prowl around the recently redeveloped Squaw Village (thevillageatsquaw.com): nice shops and restaurants, plus a ridiculously fun bungee trampoline for kids. Ride the cable car (opens June 20) to High Camp to swim in the pool or ice-skate—the rink is open year-round. 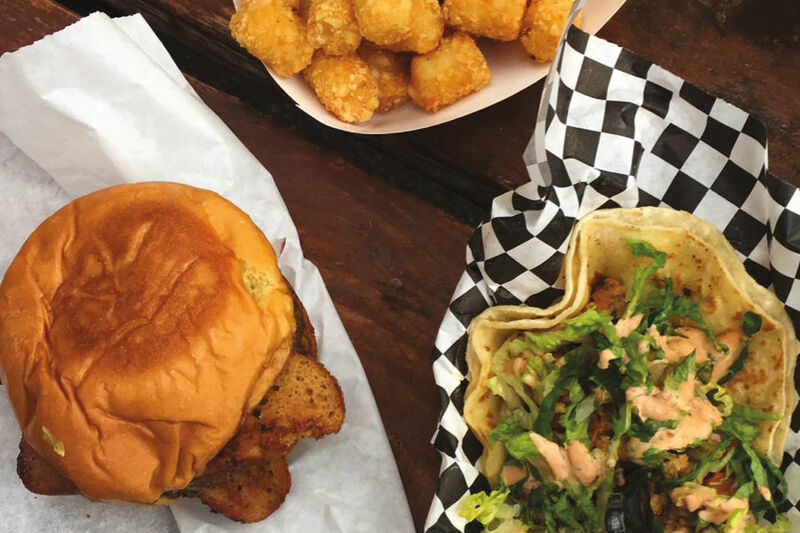 BACK IN TAHOE CITY, go for drinks (or an elk burger and waffle fries) at the Bridgetender, a log-cabin tavern that locals are devoted to. You can easily bike there from Sunnyside, or make the walk (a little over two miles). Dinner is next door at River Grill (rivergrilltahoe.com), where you can grab an outside table or one inside, by the fireplace. The extensive wine list features Northwest and Napa and Sonoma Valley wines, and the California-cuisine menu offers such dishes as Sonoma goat cheese, chard, and garlic ravioli with roasted portobello and Roma tomato sauce, or a roasted Berkshire Farms pork chop with buttery whipped potatoes, watercress, and a pecan-mushroom cream sauce. IF you get the chance, go back to Squaw for a sunset or a full-moon hike. WALK across the road to the Fire Sign Café for a big breakfast. This place will have lines out the door if you wait until 10 a.m., so get there early. Try the gouda scramble, or the buckwheat pancakes topped with hot, homemade blueberry-raspberry sauce, or an all-time favorite, the smoked-salmon omelet. FOR A QUIET MOMENT, stop by the outdoor chapel at the Noel Porter Camp and Retreat Center (campnoelportertc.com), just down the way. You’ll find the Chapel of the Transfiguration in the woods behind the Episcopal camp; it’s so peaceful, even the nonreligious could find God there. On Sundays between Father’s Day and the end of September, there’s a 9 a.m. service, for those who prefer a bit of structure. RENT a boat (ski or sail) from Tahoe City Marina (tahoecitymarina.com) and cruise about ten miles down the lake to Emerald Bay (parks.ca.gov). This has to be one of the most gorgeous sights in the West: a crystalline bay with a narrow beach and the small, granite-filled Fannette Island, the lake’s only island. TOUR Vikingsholm (vikingsholm.com), at the head of the bay. This so-called castle was built in 1929 as a wealthy woman’s summer home. It’s considered one of the best examples of Scandinavian architecture in the United States, with boulders, hand-cut timbers, carved moldings, and a sod roof. The remains of Vikingsholm’s former teahouse are out on Fannette Island. 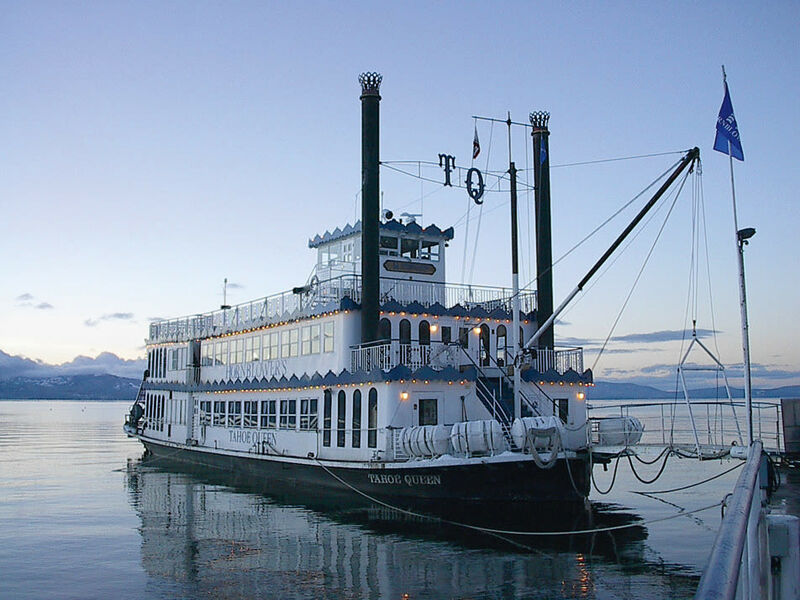 AN ALTERNATIVE to renting a boat: book a two-and-a-half-hour scenic cruise on the Tahoe Queen (laketahoetours.net), a twenty-six-year-old paddleboat built on the Mississippi River and moved to Lake Tahoe. The ride includes an exclusive video, The Sunken Treasures of Lake Tahoe, showing underwater canyons, vertical cliffs, ancient petrified forests, and sunken vessels. Cruises launch daily at noon, Tuesday-Sunday, until mid-June, and at 11 a.m. & 2:30 p.m., mid-June through early September.